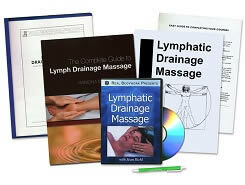 I've taken many hours of bodywork training over the past 18 years, both in person and home study. I can easily say that this is one of the best distance courses I've ever taken. From the reading, to the DVD's (which I loved and also enjoy having anytime I need to review as I start adding this training to my existing practice) to the testing process - a great experience! Some distance courses leave you feeling like "Ok, that was nice but I don't feel like I truly was taught anything." not so with this course. Each morning I read and/or watched a lesson - I went into my day feeling as if I HAD been taught new information and honestly started applying it towards clients the first day I started my studies! Lastly, I'll say my favorite part of this course - as a professional holistic body-worker for many years now, my focus on CEU's is always 'What can I learn to share with clients?" and that is a great goal. Yet, with THIS course something else happened, not only did I learn a ton to help my clients grow and balance - I learned ways to help MYSELF grow and balance! Instructor Mary Sullivan was amazing, as was my whole experience. Thank you. Excellent! Very clear presentation of concepts. I loved it because I am a Reiki Master and loved seeing the tape how you can remove energy blockages. 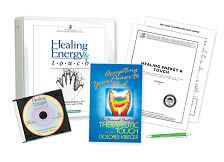 One of the best and important courses I have even taken; loved to learn how to take out energy blockages. Thank you so much. Excellent! Very clear explanation of concepts. 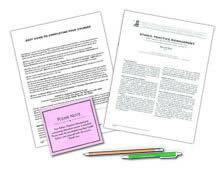 Practice exercises helped me integrate and utilize the information presented. One of the best and most important courses I have ever taken. Mary Sullivan is absolutely marvelous! I've had healing touch courses, but his polarity therapy course was presented with more detail, and at first looked very complex. After breaking down the system and approaching a step by step routine, the energy work became clearer and I've been able to apply these therapies in my day to day massage practice. I can see that I can use these therapies for years and continue to learn. Excellent course, very well outlined and presented. Video is a priceless reference. This course is very informative. It's a lot of information but it's essential in the healing of the body. I highly recommend this course! I loved this course- I had some knowledge of polarity, but this was so insightful. I completely resonated with the material. The test was clear and easy to understand. The card and the DVD are very helpful. The material is a good introduction to the therapy. This is the course for you, if you really want to know more about Chakra balancing. You will feel confident about letting your client know about the intention of this work before their treatment. Excellent course! I'm inspired to learn more and delve deeper into this healing modality. I very much enjoyed learning the material and watching the DVD. It's one of the first energy work modalities that I've studied that has captured and held my attention. The best course that I have taken from this institute so far. She is a great teacher and I will be studying these materials for a while since there is a lot to grasp. Far exceeded my expectations! The course appeals to both the physical and esoteric healing of a person and the world. I gained a new perspective of healing and my role as a health care practitioner. Excellent course. I will be able to use this in my own practice. A wealth of information. I am very grateful for your home study courses.